'Nduja has been a staple of the Calabrian diet for centuries, but the spicy pork salumi has enjoyed international popularity in recent years. We travelled to its birthplace of Spilinga to find out what makes truly great 'nduja. Many of the best things in Italian cuisine have humble beginnings. We’ve already explored the history of lardo – Colonnata’s cured pork fat salumi that started life as simple peasant food for the marble miners of the Apuan Alps – but there’s a wealth of breads, soups, salads and pasta dishes that all have their roots in la cucina povera – the kitchen of the poor. 'Nduja is another of Italy’s peasant foods. The name seems derived from the French smoked pork sausage andouille and ‘nduja could be inherited from the French Angevins who conquered Sicily in the thirteenth century, but it bears more than a passing resemblance to Spanish sobrassada as well. The exact origins are disputed, but if you’re looking for the birthplace of Calabria’s famous salumi, we can point you in the right direction. Wind your way down the Tyrrhenian coast, into the southern boot of Calabria and you’ll find yourself in the quaint coastal town of Tropea. Calabria is typically hot and arid, but the fresh coastal breezes and nearby mountains combine to make this part of the mezzogiorno slightly more temperate. As you head south towards to village of Spilinga, chestnut forests blanket the hillsides, providing ample food for the nero di Calabria pigs that roam freely around large farms. This is the heart of ‘nduja country, and the birthplace of Calabria’s spicy sausage. 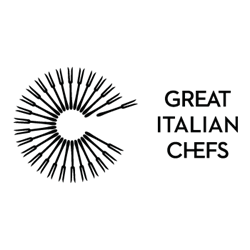 Historically, ‘nduja – a soft, spicy cured sausage of pork and chilli – was made with the very cheapest cuts of meat. 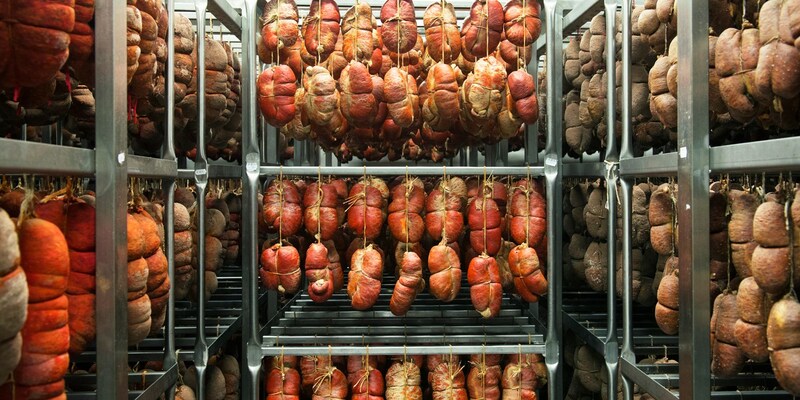 The offcuts from other types of sausage and salumi production and all the offal from the pig – including rarely-used scraps like the lungs, spleen and trachea – would be brought together with fiery Calabrian chillis in a casing of pig’s stomach, before being hung, smoked, cured and dried. 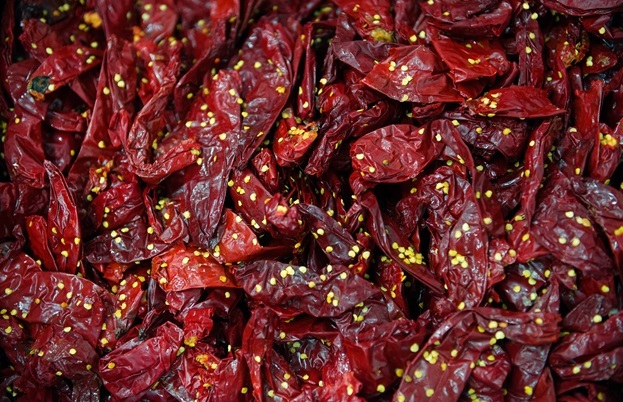 The addition of chilli is particularly important – it provides flavour, but also a healthy boost of vitamins and antioxidants, which helps the preservation process. ‘Nduja is unique as Italian salumi goes – instead of slicing the sausage into rounds, the final product emerges as a sort of intense pork pâté, with a heat that ranges from lively to downright incandescent. If you’re eating ‘nduja today, chances are you probably won’t be spreading any trachea on your bruschetta. Although today’s ‘nduja retains its rustic charm and high offal content, good producers have departed from the ‘waste not want not’ approach and instead use only top quality ingredients to make their salumi. One such producer is Luigi Caccamo – a Spilinga local who makes ‘nduja for the likes of Giorgio Locatelli. Being local to Spilinga gives Luigi a considerable advantage when it comes to producing the spicy spreadable sausage – the combination of mountain winds from nearby Mount Poro and Tyrrhenian coastal breezes gives Spilinga a unique microclimate that is perfect for curing and preserving ‘nduja. 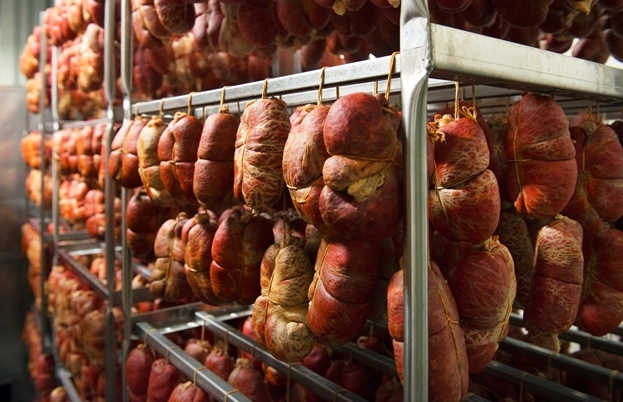 Although being based in Spilinga is an important part of the ‘nduja production process, there’s another, simpler reason for the salumi’s incredible flavour – fat. 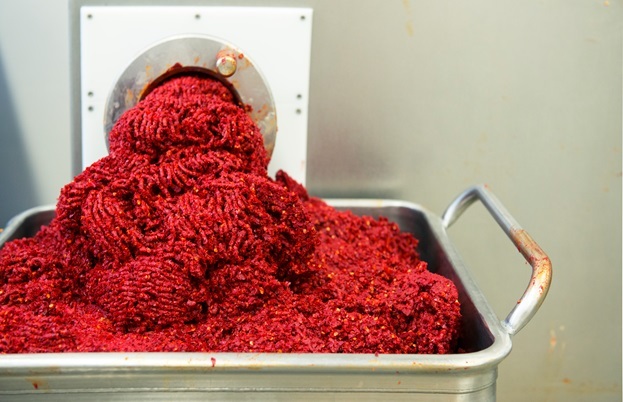 Around half of the mince that goes into a link of 'nduja is made up of either offal or pork belly meat, which makes the final product satisfyingly rich, and almost creamy with pork fat. 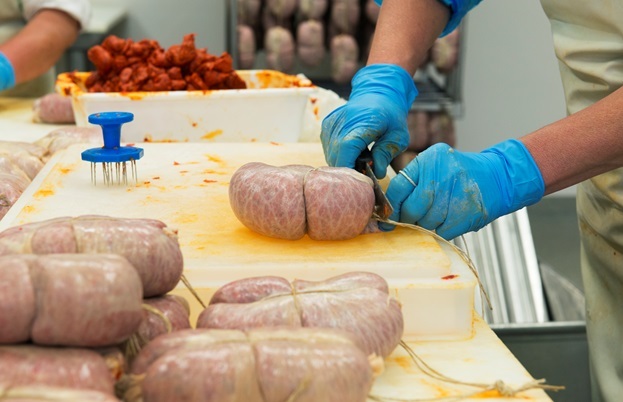 Luigi minces all the ingredients – including sweet bell pepper, chilli and sometimes raw red pepper – and pipes them into a natural stomach casing, before tying the sausage and hanging for twenty-four hours to cure. After that, the ‘nduja moves to a cooler room for several weeks to finish preserving. There are no additives or preservatives used during production – 'Nduja di Spilinga is DOP-protected, meaning that the production process is strictly regulated and honest to its traditions. The Calabrian salumi is widely available these days, and if your 'nduja has come from Spilinga, you can guarantee it’ll be the real deal. Calabrian chefs like Caterina Ceraudo have elevated the spicy sausage to new heights in recent years – just check out her stunning Almond and 'nduja bottoni with potato broth – but sometimes with something this good, the best ways are the simplest. In Spilinga, the locals eat 'nduja simply spread on a piece of fresh bread. However you choose to enjoy it, we reckon you’ll be buying more in the very near future.